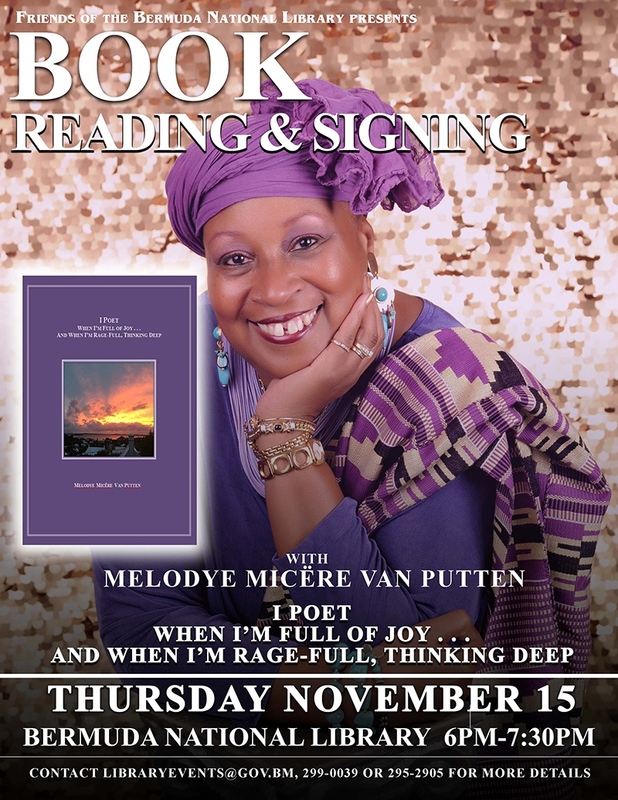 Friends of the Bermuda National Library is getting set to present a book reading and signing with Melodye Micere Van Putten and her book entitled I Poet When I’m Full Of Joy… And When I’m Rage-Full, Thinking Deep. The event will be held this evening [Nov 15] from 6.00pm to 7.30pm at the Bermuda National Library. For more information, email libraryevents@gov.bm, or call 299-0039 or 295-2905.